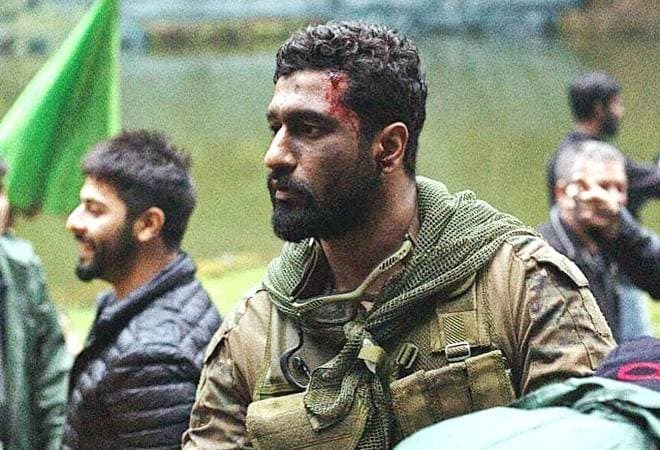 Vicky Kaushal's Uri: The Surgical Strike has created another record by surpassing the collections of SS Rajamouli's Baahubali 2: The Conclusion (Hindi version). The Aditya Dhar's war-drama movie has managed to mint more than what Baahubali 2's Hindi version earned in its week five. According to a tweet by trade expert Taran Adarsh, Uri has raked in Rs 2.12 crore, Rs 4.67 crore and Rs 5.58 crore during its fifth Friday, Saturday and Sunday respectively. On the other hand, Prabhas's Baahubali 2 had earned Rs 1.56 crore, 2.25 crore and Rs 3.16 crore during its week five's Friday, Saturday and Sunday respectively. Vicky Kaushal's Uri: The Surgical Strike has managed to earn over Rs 212 crore at the domestic box office so far. Uri is also Vicky Kaushal's first Rs 100 crore movie in a leading role. However, he has also appeared as a supporting character in Ranbir Kapoor's Sanju and Alia Bhatt's Raazi, which had also grossed over Rs 100 crore and became a part of the Bollywood's coveted Rs 100 club. Vicky Kaushal's movie has also collected more than the combined cost of its production and advertisements expenses within ten days of its release. Uri was made on a budget of nearly Rs 42 crore. Both critics and audience have praised debutant director Aditya Dhar, who has also written Uri, for his work. Uri: The Surgical Strike is inspired by the real-life events of the Indian Army's surgical strikes at Line of Control (LoC). Apart from Vicky Kaushal, Uri: The Surgical Strike also features Yami Gautam and Paresh Rawal in key appearances.